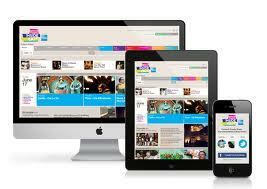 Home » web design » Responsive Web Design – Is it the next big thing in the online world? Responsive Web Design – Is it the next big thing in the online world? People who are into the development sector want to make a mobile application without the requirement to change it for every screen and device. Responsive design enables to deliver the one size design that will fit in almost everything say, desktop, tablet and smartphone. Read on to know if this is really possible. The marketing as well as the web optimization developers say that it seems that there is only one option if the companies do not have faith in their customers for downloading the mobile application which is responsive design. Still, mobile shopping cannot be said to be a hype, it has turned out to be the actual profit driver in e-commerce. According to eMarketer, it is anticipated that $38.8 billion will be spend on tablets and smartphones in America in the year 2013. This is predicted to increase up to $108.6 billion by the year 2017. Now-a-days, near about 20% of website traffic is produced by means of leading e-commerce sites that arise from the mobile devices. As such, responsive design has become an option for the developers. The exceptional screen resolution has grown from 97 which was in 2010 to 232 in the year 2013. The retailers who want to increase online shoppers with the screen’s growth with the help of not desktop resolutions, responsive design seems to be an attractive option for them. Responsive design - How does it work? With the help of responsive design, a website can adjust its design to device-specific needs. Along with fluid grids and variable images, the content and the design resize automatically so that it can fit in every screen, be it desktop, tablets or smartphones. The images may either increase or decrease and copy may reflow on its own. The result is that the user will be having the constant experience for all kinds of applications - smartphones, tablets, desktops, etc. Responsive design - Is it a myth or truth? In the modern world, the mobile devices such as tablets as well as smartphones, are becoming similar to the desktops and laptops for accessing the Internet. There has been an increase in the size of the screens. This clearly means that all websites will not be able to provide the maximum on each and every device. Responsive design is a great solution for multi-device designing. So, is it really suitable for one and all? Quick use of mobile phones - Why people are rushing for it? Most people are rushing to use their smartphones and tablets for accessing the Internet. These devices enable you to use Internet very fast and at the same time, they work in the same way, like desktops and laptops. As such, these devices are gaining a lot of popularity with each passing day. Increase in the number of screen size - Will this prove to be of any help? There has been an increase in the number of screen sizes. This is because the more the screen resolution is, the bigger will be the challenge to make a one-size design that will fit almost everything. The customers who had better experience while shopping around for mobile phones in the past will have a much complex experience in the future with such changes in the devices.